Should I be satisfied my life as it is now? And sail into the sunset? I have heard so many horrors stories about what has happened to some men after their spouse’s have passed away. Quick relationships, quick marriages, divorces, only to land in the same position alone, but this time emotionally scarred and with major financial impact. Is it worth the effort since the consequences of failure are high for me personally and for my relationship with my children, family and friends (the few I have)? A widowed friend told me that men have a tougher time with loneliness and are quick to find a new partner. “They can’t handle being alone.” We are used to the company and somebody doing all the domestic work. Most men think they can duplicate what they had. We just need a woman who can do all the domestic activity, social scheduling, entertaining, ego stroking and allow us to get on with the difficult parts of life: like meeting ‘the boys’, playing golf and discussing all the world’s problems. This should be easy, there are loads of woman looking for a guy like me! This is not as easy as most guys make it sound when discussing the subject in the pub. Women are human beings with their own thoughts, ideas, expectations, and desires of their own. They are not looking for a lazy guy who needs a slave. They have probably had one already. Most people don’t like change and fight change in every way possible. So the primary objective of most men is to completely replicate the previous relationship. On average, most men do not work as hard on relationships as women, thus, to do the extra work that is necessary can become a major issue. Nevertheless, the alternative is not good. I met a man who was very quiet, lonely and never went out to meet family or friends after his wife died. In a short time after her death, he died, basically from self-neglect. He could not handle the loneliness and the loss of companionship. I spoke to people who knew him before she died. They remembered him as a very proud, self-confident, haughty person who was very energetic. A person whom you would think did not need anybody. A marriage -bad, good or excellent-is a relationship of extreme intimacy. It is not only a sexual relationship but a complete integration or blending of mind, mood, knowledge, security, comfort level, communication (verbal and non-verbal) until the two become one. The probability of obtaining the same relationship again is impossible. Just because someone meets the basic requirements, social, moral, background, education, etc. does not mean that the chemistry is going to be there or will ever be there. I get a laugh out of the ads for online dating. They quote the ‘x’ number of points of comparison. They do not know about the X factors in relationships. Neither do I. As I go down the road to being open to new relationships, hopefully one which will be permanent. If one does occur, it will not be the same as before. I will not be looking for the same as I do not think that it will work for either party. I am a different person now and changing daily. My expectations and view of the world is changing. I have accepted a new role with my children, which is that of a ”position of respect”. I have accepted that I am no longer in the parent role, as my children are now grown and are starting their own lives. Therefore, advice is given on request instead of parental edicts. My children are also changing, even though they do not notice it as much as I do. They are coming to terms with one parent alive and also beginning to accept that even these bonds with me will become looser. This is natural and should occur. But they are now starting to exercise reverse parental control which will have to be taken into account in any new relationship I may have. I think that if I am to be successful in a future relationship I will have to over communicate, go slowly and recognise that any new relationship must include acceptance of my spouse. She will always be there, not as an adversary but as a positive person who would want the best for everybody. The trick is not to make her into the super mother which time often makes of people who have died. But to keep her as the positive and ‘human’ person she was. Then, she will truly be remembered. Even I will become a better person after I have departed. Hard to believe. The thought of a new relationship is full of concerns, fears, risks, and fraught with dangers. When we were young we never thought like this. If we did, we would never have met anybody. So my lack of experience is a problem and only time will tell. On that note… where is the nearest pet store? Ha, ha! 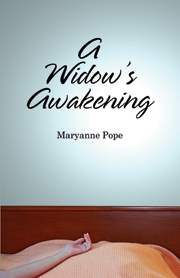 I think the good stories far outweigh the “horror” stories and that widows and widowers alike should at least explore the possibilities of new relationships-but not too soon after one loses his/her partner. Rushing into any relationship is always a mistake as it takes time to not only heal but also to fully get to know others at a level necessary to take good decisions. The problem with some widowers is that they do rush and are blinded by the new experience. So much so, that they tend to avoid their good friends and thus lose friendships solely due to their own behavior. Could this be the case with Joe as he says he has few friends? From my experience, assuming Joe waits a reasonable time (2 to 3 years in my opinion), there will be full understanding and even encouragement from children,family and friends. Joe should avoid falling into the rushing trap that he refers to. There are lots of ladies waiting to meet Mr. Right but the good ones will avoid any man seeking a permanent relationship shortly after he has lost his partner. Thank you so much for you very thoughtfull and insightul comments. Really appreciate you feedback and will keep it in mind. Dee, I so agree with you. I feel it is very important for an individual to heal from the loss; that is to be okay with self and to truly understand and grow from the loss experience. Included in the growth is a knowing you are now different and will never be the same as prior to the loss. Sadness, longing, hurt and not wanting to be alone for one more minute are real and can be all consuming……if we let them consume. Be in the moments of sadness etc when need be and gradually, really…gradually create a “new normal”. I am impressed and agree with the comment , “There are lots of ladies waiting to meet Mr. Right but the good ones will avoid any man seeking a permanent relationship shortly after he has lost his partner.” The journey of grief requires sharing BUT to heal over time will enable the individual to be ready for and discerning of any potential new relationships. That’s what I wonder. Is this all there is? Thanks for the response to the E-mail. I don’t have all the answers ( i am not trained in this area ) but I think I will look for good friends first- as in ‘Soul Friends’. If I can achieve that, then maybe there will be a ‘soul mate’ around the corner. But, if they do not turn up, than at least I will have been able to enjoy new friends and experiences. Remember ‘one day at a time’ and half a an experience is better than none. I lost my husband this summer and I am having a difficult time dealing with the situation. I wish I had a friend to talk to and do things with. What is your advice? I am not an expert in this area as I am in a similar position. I am making great efforts to get out to all events and activities to meet as many people as possible. It is hard to go alone, I know. But we have to do it. I have decided to listen more and not to talk about my departed spouse; most people do not want to go there. What I have realised is that people to learn about you now. If they want to make friends with you, they need to know you. dating sites have its own set of drama. And I do have a pet. single travel too. This isn’t all easy but I do not want to waste time waiting to meet a new husband. Does that make sense or is it helpful to anyone else? I wish you all the best in your new program. Keep me posted, would love to know how it is going.